[January 20, 2016] The oral exams of tomorrow will start at 9:00 in room A1. The following students are registered, in the given order: Ahnmad Alleboudy, Lampei Li, Matteo Busi, Thomas Alderighi. Each exam will take around 60 minutes. [NEXT ORAL EXAMS] Oral exams are scheduled for January 27, starting at 10:30 am and February 3, starting at 9 am. To register you must (1) send an email to the lecturer indicating the preferred date, and (2) register on https://esami.unipi.it/esami/studentportal.php for the written proof of February 12, indicating in the notes "Oral exam only". The latter is needed to guarantee that you filled in the evaluation of the course. [January 19, 2016] The results of the written exam of January 14 will be published today in the late afternoon. Students interested in checking the corrections to their written proofs are invited to come to the office of the lecturer today at 6:30 pm. [January 5, 2016] Detailed syllabus of the course: PLP-2015-SYLLABUS.pdf. [ORAL EXAMS] Oral exams are scheduled for January 12, 20 and 21, starting at 9:30 (the place will be commmunicated later). To register you must (1) send an email to the lecturer indicating the preferred date, and (2) register on https://esami.unipi.it/esami/studentportal.php for the written proof of February 12, indicating in the notes "Oral exam only". The latter is needed to guarantee that you filled in the evaluation of the course. [WRITTEN EXAMS] The next written exams are scheduled for January 14 and February 12. Registration on https://esami.unipi.it/esami/studentportal.php is mandatory. [December 13, 2015] Important: Given that the topics covered in the second part of the course (since November 9) are mostly of conceptual and theoretical nature, I decided to cancel the second mid-term exam scheduled for December 18. The students who passed the first mid-term exam are admitted to the oral examination, which will cover all the topics presented along the course. [October 15, 2015] The first mid-term exam (a written proof) will be held on November 2 at 9 am in Room A1. Registration is mandatory: register at URL https://esami.unipi.it/esami/studentportal.php before Oct. 31, 2015. Send an email to the lecturer if you have any problem when registering. [September 27, 2015] For additional teaching material visit the MOODLE site at https://elearning.di.unipi.it/moodle/course/index.php?categoryid=3. Ask the lecturer the password for guest access the site. [September 25, 2015] Students who missed the opportunity to take the Preliminary test that was proposed in the first two lectures, are kindly invited to contact the lecturer. [September 24, 2015] The course starts today. [September 21, 2015] The course starts today. The final grade is based on a written exam (possibly substituted by two mid-term exams [beginning of November; mid December]) and on an oral proof. Take the exam with Prof. Bellia, for 12 credits, based on the original syllabus. In this case please contact Prof. Bellia directly. Take the exam with Prof. Corradini, for 9 credits, and ask for an additional task to cover the remaining 3 credits. Change the study plan, replacing the 12 credits course (code 379AA) with the 9 credits course (code 603AA), and take the exam with Prof. Corradini. Detailed syllabus of the course: PLP-2015-SYLLABUS.pdf. Selected pages of of Aiello, Albano, Attardi, Montanari: Teoria della Computabilità, Logica, teoria dei linguaggi formali, Materiali didattici ETS, 1979, in Italian. Ginsburg and Rice: Two Families of Languages Related to ALGOL, Journal of the ACM Volume 9 Issue 3, July 1962. 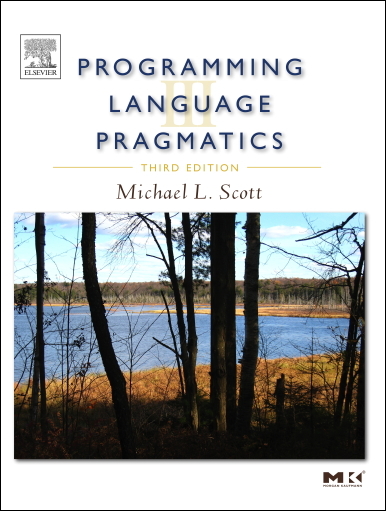 Structure of compilers Slides: PLP-2015-02.pdf [Scott], Chapter 1 (sections 1-4 to 1-6). (Context-Free) Grammars, Chomsky hierarchy; Parse trees; Ambiguity, associativity and precedence; Syntax-directed translation; Translation schemes; Predictive recursive descent parsing; Left factoring, elimination of left recursion. Slides: PLP-2015-03.pdf [ALSU], Chapter 2. 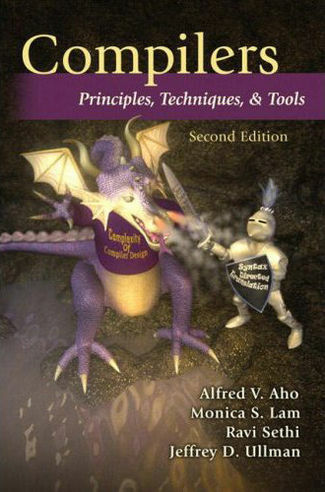 Lexical analysis; Intermediate code generation; Static checking Slides: PLP-2015-04.pdf [ALSU], Chapter 2. Tokens, lexeme and patterns; Languages and operations on them; Regular expressions and definitions; Transition diagrams; Code of a simple lexical analyzer; Lexical errors. Exercises on the topics presented so far, in particular on grammars and languages, Regular Expressions, Finite State Automata, Lexical Analysis. You are invited to continue solving the exercises at home. If you have doubts about the text or want to discuss a solution with me, send me an email. From a DFA to a right-linear grammar; CF Grammars as continuous transformations on languages; Generated language as least fixed-point of a grammar; REs as solutions of least-fixed points equations; From REs to DFAs directly. Left-Recursion Elimination; Left Factoring; Top-Down Parsing; LL(1) grammars; Predictive, Recursive-Descent Parsing; Table directed parsing; Error recovery during top-down parsing. Shift-reduce parsing; Handle; Shift/Reduce and Reduce/Reduce conflicts; LR(0) items; LR(0)-automaton; LR(0) parsing table; Structure of parsing algorithm; Driver; SLR, LR(1) and LALR parsing tables. [Scott] Chapter 3, [GM] Chapter 4. Slides: PLP-2015-13.pdf, up to page 26. [Scott] Chapter 3, [GM] Chapter 4 and 5. It is necessary to register at URL https://esami.unipi.it/esami/studentportal.php before Oct. 31, 2015. The exam will be about the material presented during the lectures up to and including Lesson 13 on "Syntax-Directed Translation". This is covered by Chapter 1 of [GM], Chapter 1 (sec. 1-4 to 1-6) of [Scott], and Chapters 2, 3, 4 and 5 of [ALSU], with the exception of Sections 4.7.5 and 4.7.6. [Scott] Chapter 3 and 6.1, [GM] Chapter 7.2 and 6.1. [Scott] Chapter 6.3-6.5, [GM] Chapter 6.2-6.4. [Scott] Chapter 6.5, [ALSU] Chapter 6. [Scott] Chapter 7, [GM] Chapter 8, [ALSU] Chapter 6. Slides: PLP-2015-22.pdf, up to page 40. 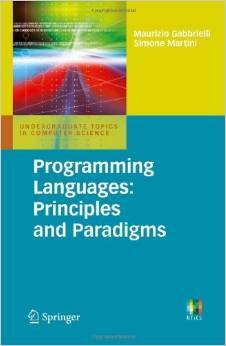 Pointers and Recursive Types; Pointers and Arrays in C. Control abstraction; Parameter Passing Modes and Mechanisms. [Scott] Chapter 8, [GM] Chapter 7. [Scott] Chapter 9, [GM] Chapter 9-10. 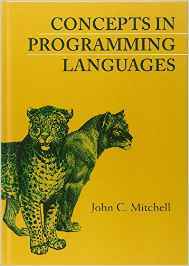 Functional programming languages; Introduction to Haskell. Type Classes in Haskel; Monads and the Maybe Monad. Slides: PLP-2015-27.pdf, up to page 12. Monads as Containers and as Computations; the IO Monad; Recursion and Continuation Passing Style; Type inference in ML and Hskell. [ALSU] Chapter 8 and 9. Data Flow Analysis and Machine Independent Optimization.